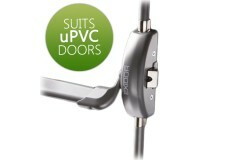 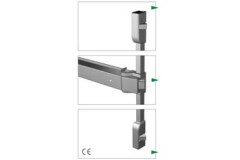 Designed for single and double door applications. 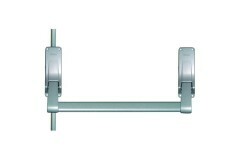 For double doors 2 units are needed one for each door, or you can look at our double-door exit bars. 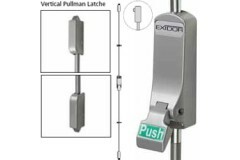 Briton 376E Single Panic Bolt has anti-thrust device and automatic top catch to release bolt into se.. 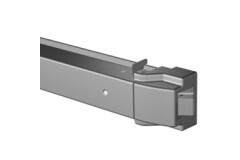 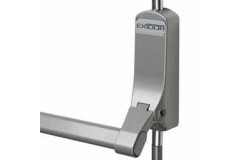 The Exidor 297 is a surface mounted rim latch for single and double door applications. 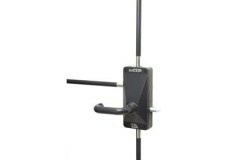 Simply depres.. If you're looking for a panic bar (or 'crash bar') for your plastic doors, this is the solution for .. 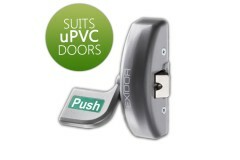 Looking for a push pad for plastic exit doors? 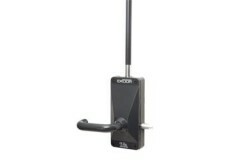 Then this is the solution for you. 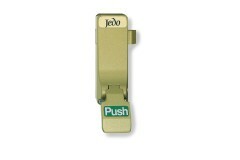 These EN179 push p.. 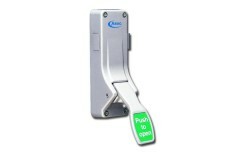 This cost-effective and safe method of achieving a crash-to-exit solution on an exit door that is us.. 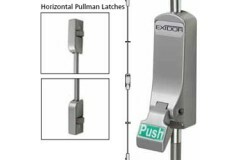 The Exidor 294 is an elegant and highly functional panic bolt for single and double door application.. The Exidor 294A/SD is an elegant and highly functional panic bolt for single and double door applica.. 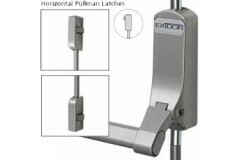 The Exidor 294A is an elegant and highly functional panic bolt for single and double door applicatio.. 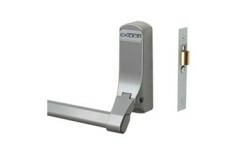 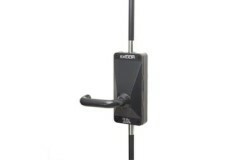 The Exidor 294SD with steel door fixings is an elegant and highly functional panic bolt for single a.. 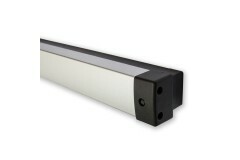 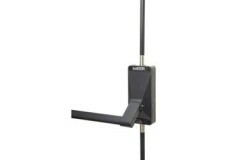 The Exidor 296 is designed for single and double door applications. The unit is operated by a downwa.. 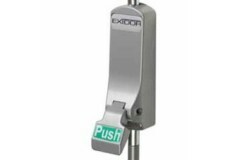 The Exidor 296 is designed for single and double door applications and comples with steel door fixin..
Exidor 305 offers a Push bar actuator unit with a cylinder mortice night latch case that can be supp..
Exidor 306 offers a push pad actuator unit with a cylinder mortice night latch case that can be supp.. 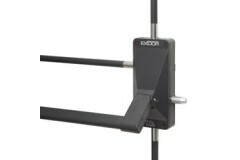 The Exidor 308 offers all the elegance and functions of an Exidor single panic bolt with the added f..
Exidor 311 offers all the elegance and functions of an Exidor single panic bolt with the added featu..
Exidor 400 Touch Bar 2 Point Locking With Horizontal Catches with the ever increasing need for impro..
Exidor 402 Touch Bar 2 Point Locking With Pullman Catches with the ever increasing need for improved..
Exidor 400 Touch Bar 3 Point Locking With Horizontal Catches with the ever increasing need for impro..
Exidor 400 Touch Bar 3 Point Locking With Pullman Catches with the ever increasing need for improved..
Exidor Deadlocking Latch with the ever increasing need for improved security, the Exidor 400 series ..
Exidor 701L/30 is a surface mounted emergency exit latch for outward opening single door application..
Exidor 702B/30 is a surface mounted two point panic bolt for outward opening single door application.. 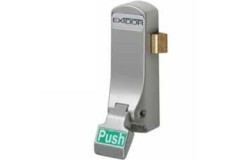 The Exidor 703B/30 is a surface mounted three point panic bolt for outward opening single door appli..
Exidor 703L/30 is a surface mounted three point locking emergency exit bolt for outward opening sing..
Exidor 704B/30 is a surface mounted four point locking panic bolt for outward opening single door ap..
Exidor 704L/30 is a surface mounted four point locking emergency exit bolt for outward opening singl.. 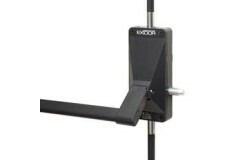 The Exidor 293 is an elegant and highly functional panic bolt for single and double door application.. 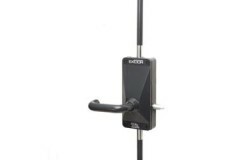 The Exidor 307 offers all the elegance and functions of an Exidor push pad single panic bolt with th.. 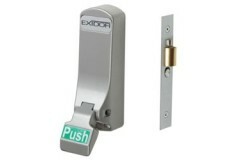 The Exidor 310 offers all the elegance and functions of an Exidor push pad single panic bolt with th.. 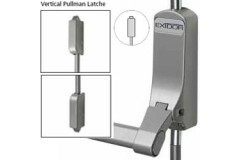 This Product has been discontinued this page is for reference onlyDetails Size: 159 x 59mm Finish..
Max Door Width : 1300mm Max Door Height : N/A BS EN Operation : BS EN 179 Finish : Silver Handed : ..
Exidor 702L/30 is a surface mounted two point emergency exit bolt for outward opening single door ap..